Unite to fight the Muslim ban! It’s our mission to remind everyone that islamophobia fuels conflict and hate, and we have enough of that going around to last us a lifetime. Samuel P. Huntington’s ‘clash of civilisations’ has emerged in the wake of 9/11, pitting the world against an engineered threat of Islamic extremism. Washington’s death grip on the Middle East has cultivated terrorist groups such as ISIL, al-Qaeda, and the Taliban. As a result, Muslims have suffered devastating losses and been vilified by mainstream media. Despite these odds, they never forgot the virtue of ‘salaam’. 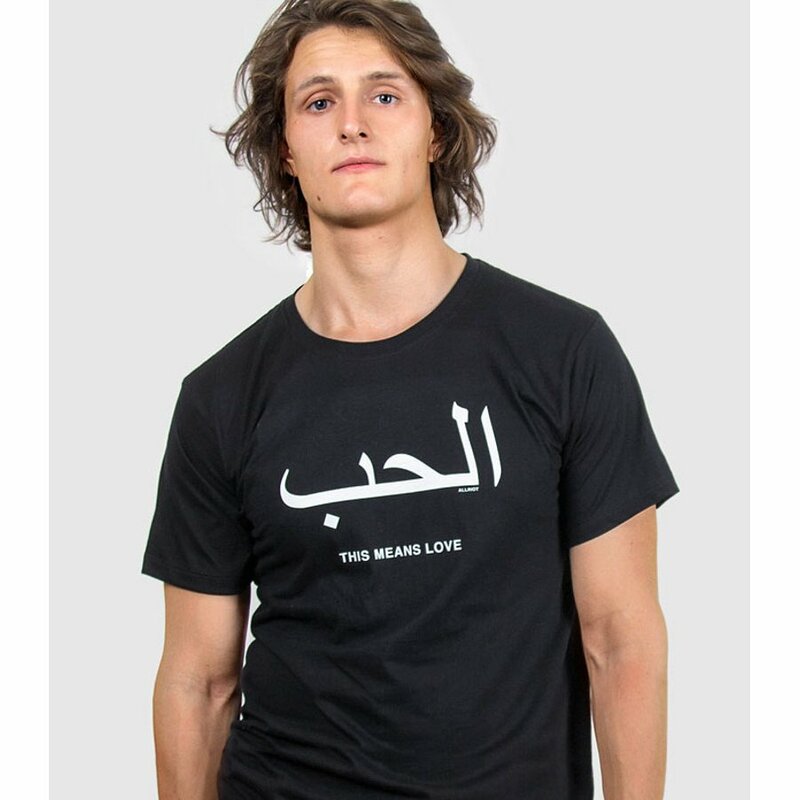 There are currently no questions to display about All Riot 'This Means Love' T-Shirt.